Spirits Investment Partnership, in partnership with Bob Dylan, has announced the debut of Heaven’s Door, a collection of craft American Whiskeys. Dylan’s first and only brand partnership, Heaven’s Door will be an evolving portfolio of handcrafted whiskeys, the company says, made in collaboration with different master distillers and blenders from across the country. Heaven’s Door came about when spirits entrepreneur Marc Bushala, CEO of SIP, read that Dylan had registered a trademark application for “Bootleg Whiskey” in 2015. Through a mutual friend, a meeting between the two was arranged. Together, they developed the idea of creating a whiskey collection, incorporating Dylan’s artwork in the packaging. “We both wanted to create a collection of American whiskeys that, in their own way, tell a story,” says Dylan. 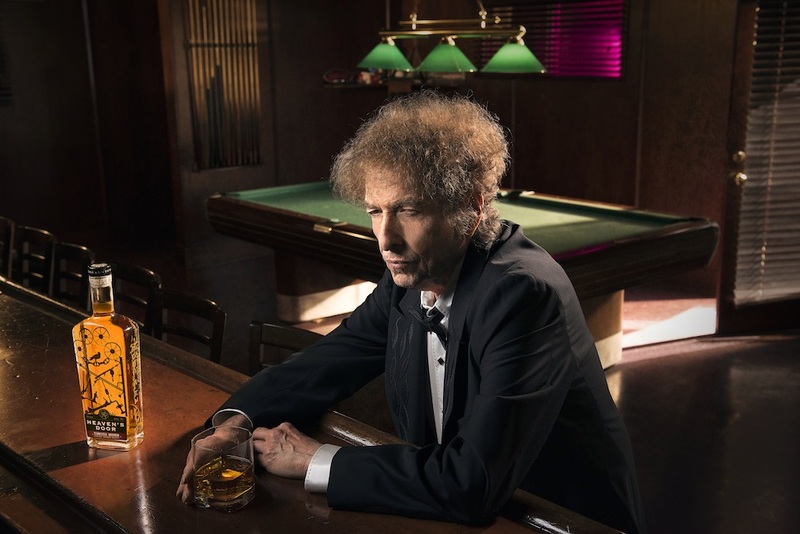 “We both wanted to create a collection of American whiskeys that, in their own way, tell a story,” says Bob Dylan. After years of experimentation, Heaven’s Door arrived at its first three expressions. These include a Straight Tennessee Bourbon, a Double Barrel Whiskey, and a Straight Rye Whiskey finished in “Cigar” Barrels from Vosges, France. Heaven’s Door bottles feature Dylan’s iron gates he created in his studio, Black Buffalo Ironworks, from objects found on farms and scrapyards across America. Complementing the mainstay portfolio, next year Heaven’s Door will introduce The Bootleg Series, showcasing Dylan’s paintings on proprietary bottles. The Bootleg Series will offer rare whiskey stocks and special blends, the company says, available in very limited quantities. Straight Tennessee Bourbon is made with 30% “small grains” to complement the character imparted from spending almost seven years in new American Oak barrels. Double Barrel Whiskey is a blend of three different whiskeys, finished in new American Oak. Straight Rye Whiskey was finished in toasted oak cigar barrels, harvested and air-dried in the low-lying mountain region of Vosges, France. In 2019, Heaven’s Door will open its distillery and brand experience center in a 140-year-old church in Nashville.